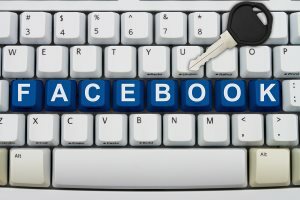 Do You Support this Lawsuit Against Facebook? Two Facebook users, Matthew Campbell and Michael Hurley, have brought a lawsuit against Facebook, the world’s largest social networking site. According to CNN.com, the two men desire the lawsuit to be turned into a class action lawsuit on behalf of 166 million more Facebook users. They accuse the company of scanning “private” messages between users for links and other information, which then can be sold to third parties such as advertisers, marketers and data aggregators. And Facebook, the lawsuit claims, does all this without users’ knowledge or consent. There’s this false rumor that’s been going around which says that we’re sharing private information with applications and it’s just not true. The way it works, is … if you choose to share some information with everyone on the site, that means that any person can go look up that information and any application can go look up that information as well. … But applications have to ask for permission for anything that you’ve set to be private. Advertisers never get access to your information. We never sell anyone’s information and we have no plans to ever do that in the future. Now, in order to run a service like this that serves more than 400 million users, it does cost money … so we do have to make money and the way we do that is through … advertising. Advertisers come to us and they say what they want to advertise and we show advertisements to people who we think are going to be most interested. … But at no part in that process is any of your information shared with advertisers. If the lawsuit accusations are true and Facebook has been selling “private” information without users’ consent, I wonder what happened to the “we-would-never” mindset Zuckerberg had three years ago? But honestly, does his “assurance” then and possible “lies” now even matter? Because although a user sets his/her account information to “private,” can anything ever truly be considered private— intended for or restricted to the use of a particular person/group—on the World Wide Web? This is the big debate. Sure, no user wants to have an online account where his or her information can be sold to third parties, but does displaying your information on a public space—accessible to anyone—negate the notion of it ever being private? Can internet users ever really trust (or even expect) a for-profit company—even offering a free service—to never utilize their “private” information displayed on a public space for commercial gain? Should users be cautious, only uploading information they’re comfortable with the possibility of anyone accessing? Or can one truly have privacy online? This is a dynamic issue where some say yes and others say no. What are your thoughts?